…skiing and snowboarding are fun winter activities, but there’s nothing quite as magical as ice skating (also, they’re p expensive). If you’re searching for a way to enjoy the winter without breaking the bank consider purchasing some ice skates (or just renting) and glide your way into some cheap / free winter fun! 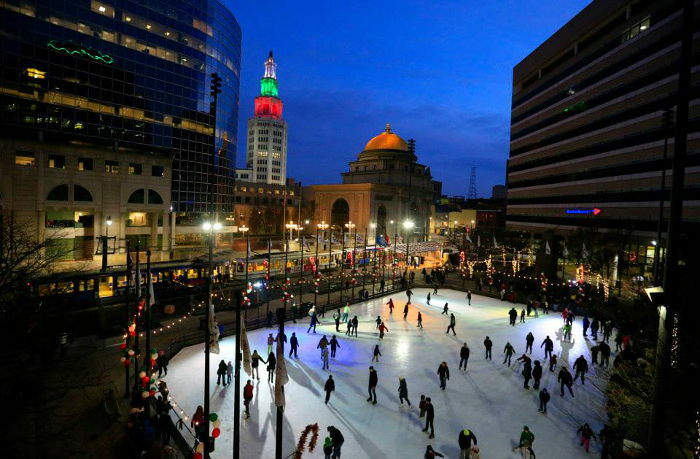 There’s no better way to start off the ice skating season than right in the heart of the “New Buffalo”! With the rink and ice skating comes ice bikes, curling, fun winter events, pond hokey, and ICE BUMPER CARS! While you’re there grab some food from vendors like Harborside Mercantile, Bubble & Brews, and Bryce’s Winter Cafe. 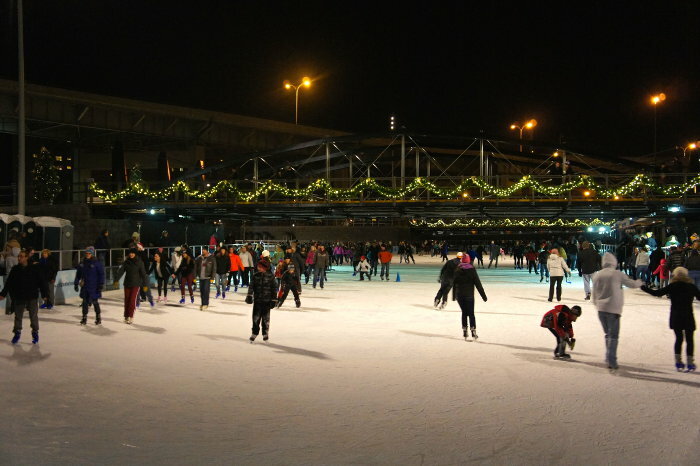 Check out the Ice at Canalside’s hours, daily activities and updates based on the weather at canalsidebuffalo.com. Ice skating costs $5 for ages 13 and up, $4 for ages 6 – 12 and is free for kids under 5. Skate rentals are $4. 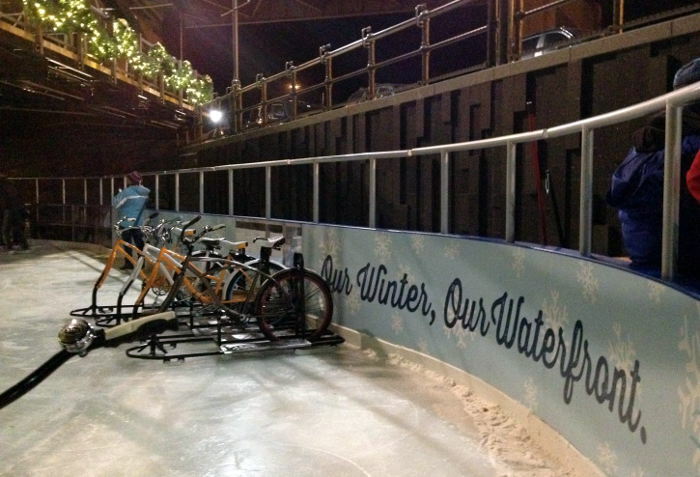 Ice bike rentals are $10 per half hour. Dining recommendations: After what’s sure to be a busy experience at Canalside, head out away from the madness to Swannie House or Ballyhoo for a drink and a casual meal. We’d be lying if we said we didn’t sometimes think of the Rotary Rink as our own little Rockefeller Center right here in Buffalo. With the rink located in downtown Buffalo near some of the city’s best restaurants and bars, it makes it easy to warm up with a drink after an evening of ice skating. Cough, cough, the perfect date. Just remember, if the temperature reaches 45 degrees, call before heading down to skate. Regular hours of operation are Tuesday – Friday 11:00 AM – 2:00 PM & 5:00 PM – 9:00 PM, Saturday from 11:00 AM – 8:00 PM, and Sunday from 11:00 AM – 6:00 PM. Skate rentals are $2 for kids and $3 for adults, but it’s a completely free activity if you own a pair of ice skates. Special hours are listed on their website. Dining recommendations: Head to Public Espresso in the Hotel Lafayette for a warm beverage or Eddie Brady’s for a casual lunch or dinner. Our guess is that your hat and gloves won’t cramp your style at any of these places. Throw on some headphones and use the Northtown Center’s ice rink for a new way to break a sweat. (I love drifting across the ice with holiday music blaring through my headphones). It’s a peaceful workout to do on your own, a romantic date, or fun as a group! Bonus: The Northtown Center also offers hockey sessions with sessions costing $10 or $5 with a Town of Amherst Resident ID card. For their open skate schedule check out their website. Skate rental costs $3 if you have an Amherst Town Card, $6 if you don’t. 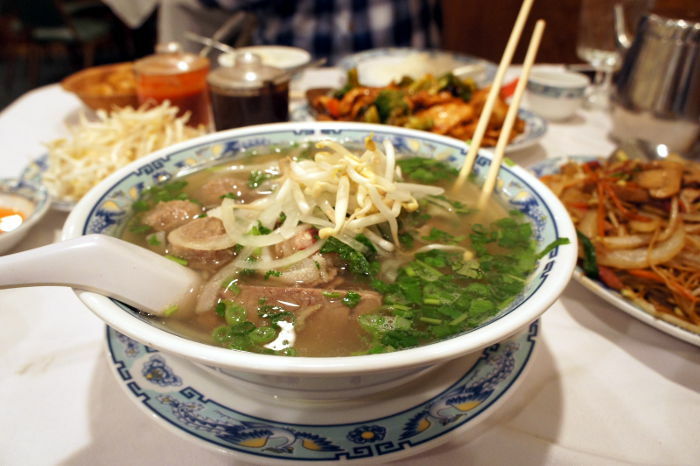 Dining recommendations: While you’re in the area (sorta), head to Red Pepper, Miss Hot Cafe, or Chinese Dumpling House – it’s worth the 10 minute drive, trust us. Just one of the many shiny new things to see and do at the HARBORCENTER, the rinks offer public skates at $6 for kids and adults over 7 years old, and $1.25 for kids under 7. Skate rentals are $3. 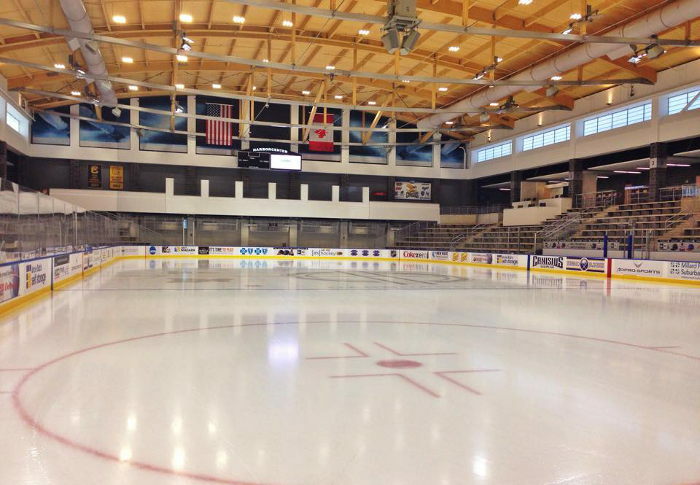 In addition to public skating, the HARBORCENTER also offers youth and adult open hockey. For just $10 a player (goalies are free).To check out dates and times available for public skates visit their website. 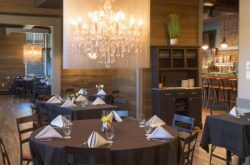 Dinning recommendations: Enjoy the perfect winter night out ice skating followed by a hearty meal at 716 Food and Sport or class it up at Panorama on 7. The North Buffalo Ice Rink offers public skate hours generally every day of the week. Hours for open skate are Monday 11AM-1PM, Tuesday 4:30PM-6PM, Wednesday 4:30PM-6PM, Thursday 11AM-1PM, Friday 7PM-9PM, Saturday 5:30PM-6:30PM, and Sunday 7PM-9PM. Check out their holiday hours here. Public skate fees are $2 for adults 18 years and up, $1 for ages 5-17 and free for 4 and under. Skate rentals are $2. 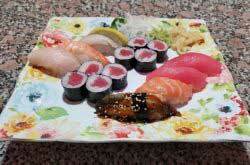 Dining recommendations: With Hertel Ave nearby, there are TONS of dining options here. We’re currently obsessed with Lloyd Taco Factory for lunch, dinner or drinks (kids welcome) and Joe’s Panini Grill for a casual stuff your face sesh. 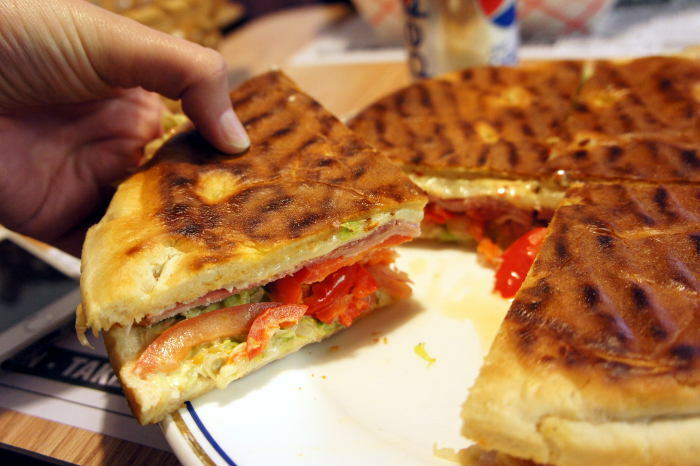 Also, if you’re into tacos and tortas (which is basically everyone) stop by La Divina. Riverworks keeps getting better and better, and it’s no surprise that the newest rink in Buffalo is in full swing. That being said, they have a lot of hockey tournaments and events here, so make sure to check out their website for upcoming open skate hours. Fees to skate are $5 for ages 6 and up and free for 5 and under. Skate rentals cost $5. 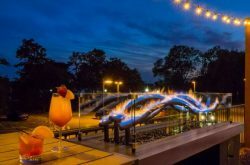 Dining recommendations: Stick around to eat at Riverworks’ restaurant, The Ward or head to the nearby Duende for a drink in a cool oh-so-Buffalo spot! The Healthy Zone Rink offers Winter Public Skate generally on Friday 7:00PM-8:45PM, Saturday 1:00-2:20PM & 7:00-8:45PM, and Sunday 1:00-2:20PM. The rink also has an awesome addition – a beautiful (and warm) lodge for all of you who are okay with tagging along but would rather just watch. We know you’re out there. This rink’s admission fee is $5.00 and a skate rental fee of $3.00 (cash and checks only). Check out their additional skate dates on their website. 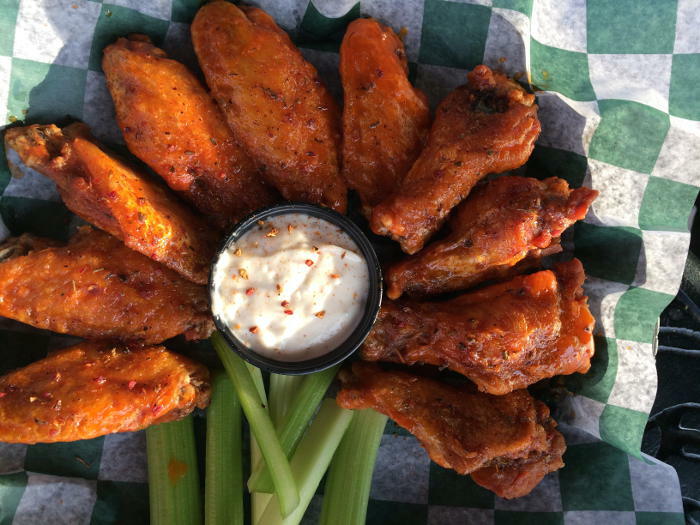 Dining recommendations: Stop next door at Riley Street Station for some pub food, head to Bar Bill for wings, or check out Elm Street Bakery for a casual lunch break.